After getting engaged in Archbishop's park, we hopped back on the Big Bus and went to Hyde Park. 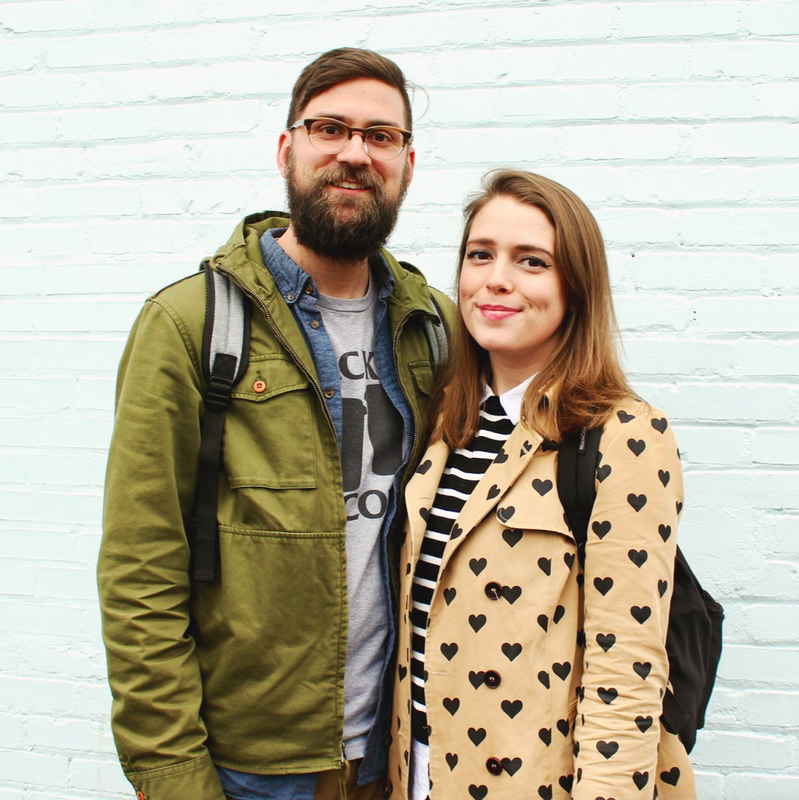 We went to Borough Barista for an afternoon coffee, to charge up our phones, and to just sit and excitedly talk about how we were going to tell everyone that we're gettin' hitched! 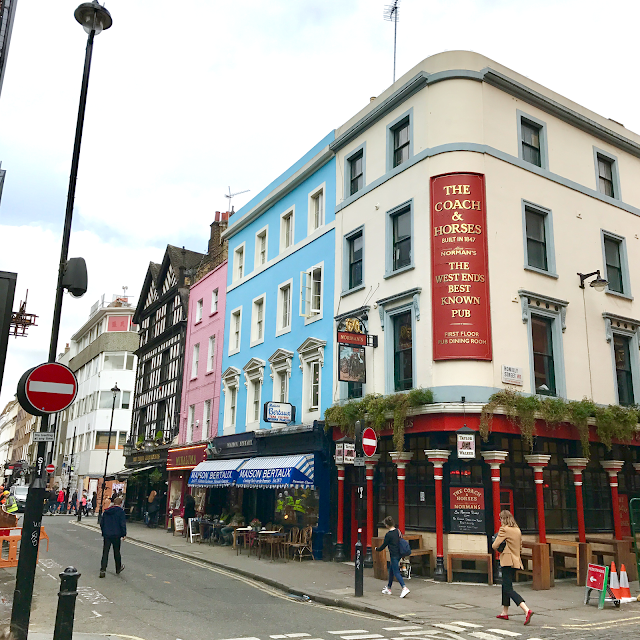 Eventually we decided that we needed to grab some drinks to celebrate before our dinner reservations later that night, so we took the tube to Oxford Street and had some local beers at The Woodstock Tavern. After drinks, we walked around, looking at all of the fancy stores we would never step foot in. According to Wikipedia, Oxford Street is the busiest shopping street in Europe, with about half a million daily visitors. It was nuts. Nick and I aren't shopping people and literally struggled to find anything we wanted to buy on this trip other than food and drinks, but it was still fun to just walk around and see shop after shop of designer goods. Finally, the event I was most excited for this trip had arrived: our Sketch reservation. 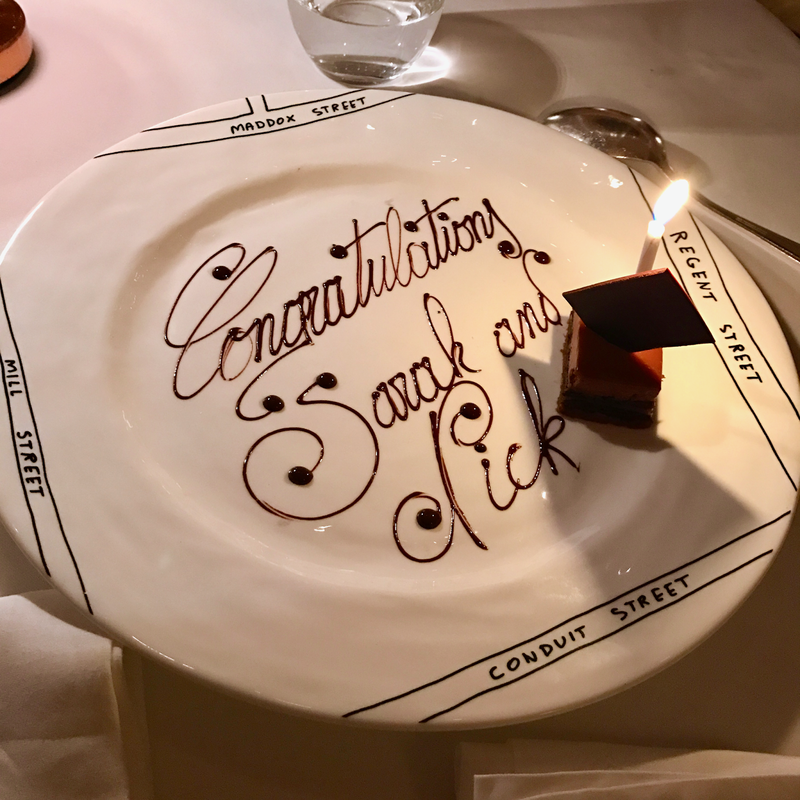 Sketch is easily one of the most Instagrammable restaurants in the world and I knew I would be heartbroken to go to London and not see it in person. It. Was. Beautiful. There are a few different rooms at Sketch, but I (we) reserved a table in the Gallery. Blush pink from top to bottom - the plush chairs, somewhat crude drawings framed and hung all over the walls, gorgeous multi-toned herringbone floors... it was just perfect inside. We were greeted by a sommelier that brought us champagne and a card to congratulate us. We shared a cheese plate, wine, pesto risotto, and a celebratory dessert. It was really the nicest dining experience these two dive bar lovers have ever had (we ain't fancy.) 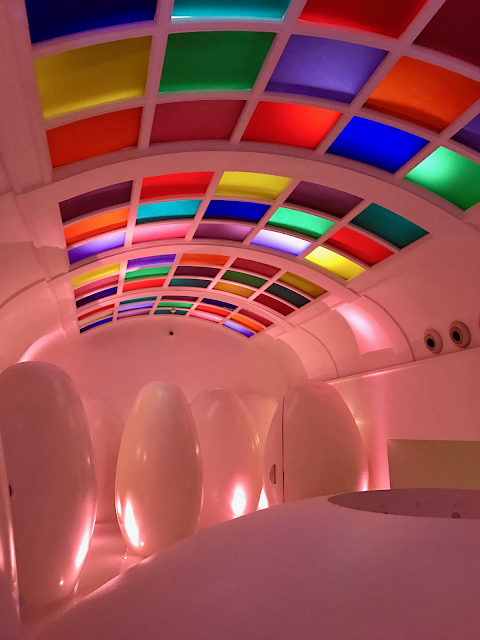 Even the bathrooms were so insanely cool (the toilets were inside those pods.) 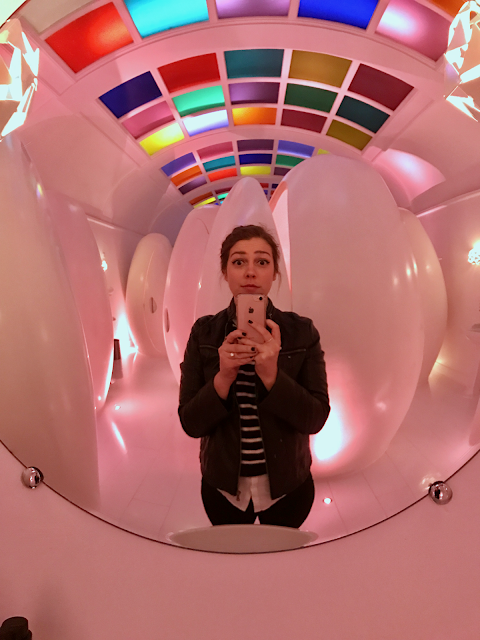 All in all, I really wanted to visit Sketch (mostly for the IG photo), but our experience there was more special than I could have imagined. I loved it. Finally, after what turned out to be an incredibly exciting day, we walked back to our flat and called it a night. 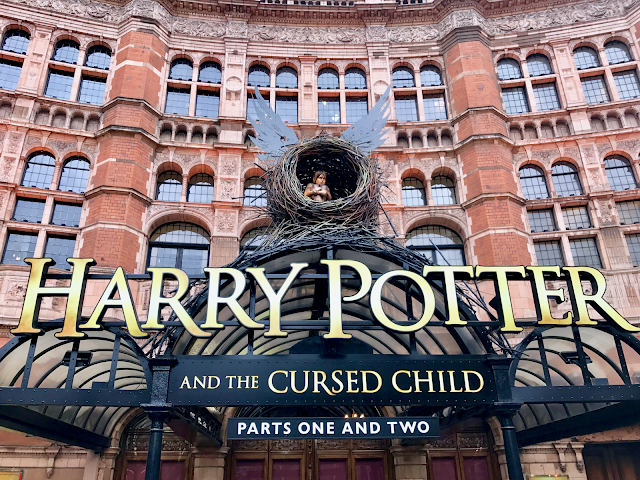 On the morning of our last day in London, we walked to Covent Garden to grab breakfast and spend some time before the day's big event: The Cursed Child. We had a delicious breakfast at Bill's, including our first scones of the trip! Afterwards we headed to the market at Covent Garden where we watched a street performer get squished under a bed of nails, we snacked on macarons from Laduree, and sipped some coffee. Then we walked around a little more, just killing time, and finally headed to the Palace Theatre to see Harry Potter and the Cursed Child. 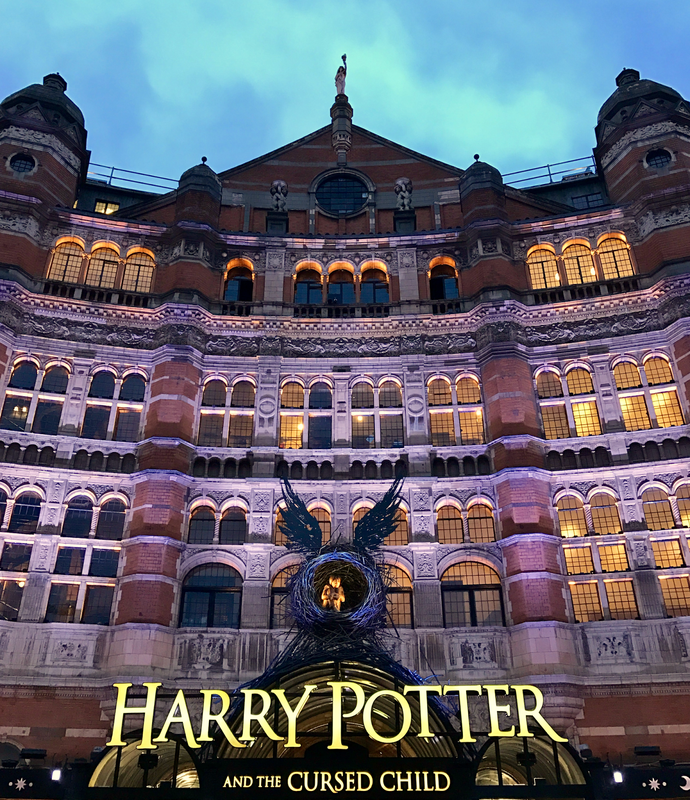 Unless you've been living under a rock (or you don't care about Harry Potter, I guess) you've heard that J.K. Rowling helped to create a new story in the HP universe called The Cursed Child. 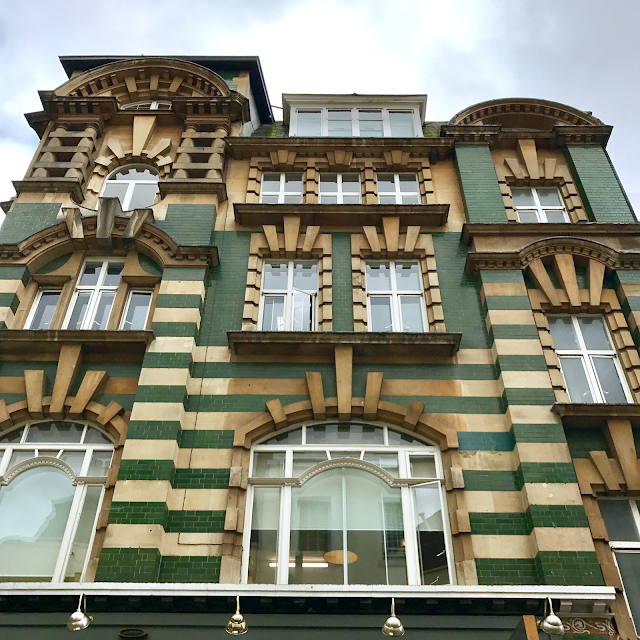 It's a stage play, and right now it's in the original run, only in London's West End. As soon as we found out we were going to London, I literally checked the website for tickets every single day. This show is sold out years in advance, but I was hoping that eventually some tickets would pop up, and I realized that tickets did open up about 2-3 weeks before a show. I found tickets 12 days before we left for the trip, and full disclosure: they weren't cheap. BUT. Besides getting engaged, this was the absolute best part of the entire trip and worth every penny. I'll be honest, even though I was desperately trying to score us tickets, we weren't even that excited to see the show. The script for the play was released as a book and it has had less than stellar reviews. The story is kind of strange and many people think it sounds like Harry Potter fan-fiction rather than something that came from the mind of J.K. Rowling. At the same time, I would have 100% regretted being in London and not seeing this show if we had the chance. We saw parts 1 and 2 back-to-back (about 7 hours start to finish, including intermission) and it was INCREDIBLE. It was so, so, so freaking good. I'm going to #KeepTheSecrets as Rowling has requested, but I'll say that everything about it exceeded my expectations. If you are in London, see it. Or when it comes to the US in a few years, see it. Once again, the times we decided to just take the tube were life savers. Far and away the easiest and most effective way to get around the city. Get a pass for the duration of your stay, and the city is much more manageable to explore. Just a side note: watching people drive in London is crazy. There are few places in the world where people drive on the left side of the street and it's a little disorienting. Every time we were crossing the road, we had to take a second to think about which way to look for approaching cars. Luckily for us, many crosswalks had "Look Right" or "Look Left" painted right onto the street, which was actually really helpful. Still, just a strange experience. - Borough Barista: A cute, quiet coffee shop. This place was much appreciated, since it was so nice to just be the only people in a coffee shop (or anywhere) for once. - Sketch: What's left to say? This place is a dream come true. Definitely make a reservation, it's a total must if you're ever in London. - Bill's: This was a great spot for breakfast. It had a great breakfast and brunch menu for reasonable prices. This place is pretty huge and right in the heart of the Covent Garden area. - Laduree: Expensive, sure. But the macarons were oh so worth it. - The Cambridge: The place really just served as a pit stop for us between HP shows. But with local beer on tap, and very London feeling atmosphere, it worked for us. - Archbishop's Park: A fairly typical park with a soccer field, open space and running/walking paths. Decent spot to get engaged, I suppose. 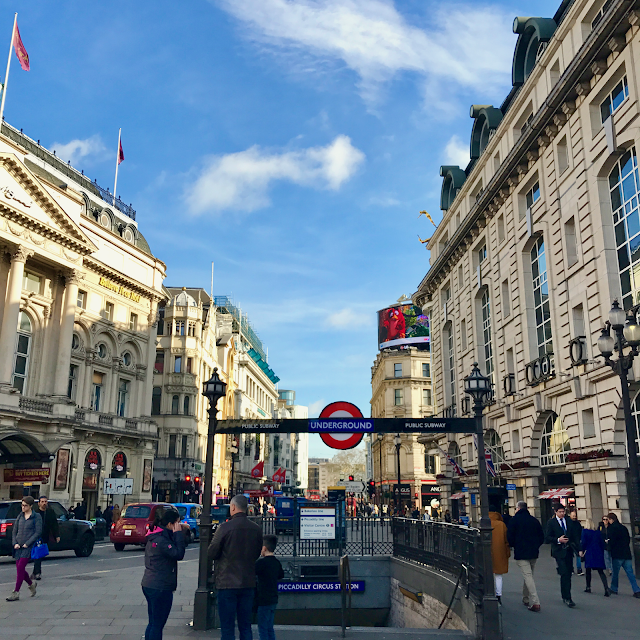 - Oxford Street: Like Sarah mentioned before, it felt like being in the busiest shopping district in all of Europe, which it is. Way too much glitz and high end fashion for me, but it was still fun to roam around at night. - Covent Garden Market: Outdoor tourist hub of shopping, eating, and coffee. 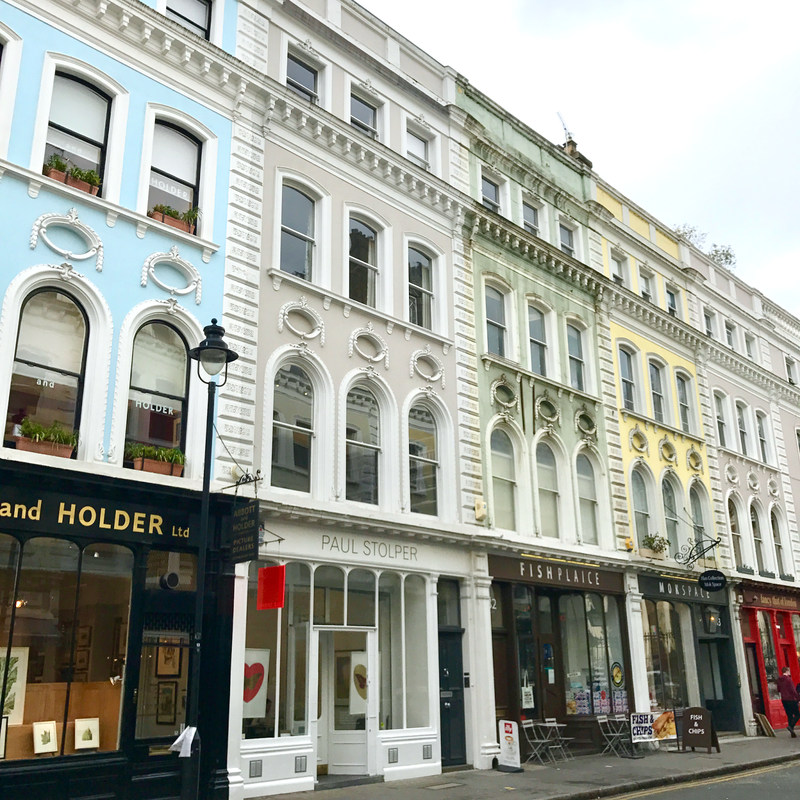 It's surrounded by a lot of cute streets that are definitely worth exploring, too. - The Cursed Child: Just go see it. You have to. Just go. Again, our Airbnb was in Russell Square and perfect for us. If you're interested in trying Airbnb, you can get a credit for your first trip through our referral link! London was the best and I know we will be back for sure. Next time, as husband and wife! i logged on to get HP tickets and i was like theres no way!? i had found some for the beginning of march..but there was no way. i'd read on ig that the theater is actually pretty cool about letting you take snacks and drinks in. anyway, i cant wait to see the Iceland posts! I also own the book and didn't read it yet, haha! I will now that I've seen the play though. The theatre was awesome! It's super old and ornate, but also really tightly packed (our knees were touching the seats in front of us). You can't bring in outside food, but they have a bar inside where you can buy drinks (not sure about snacks). I hope you can make it to see the play sometime! I know they're currently doing casting calls for the US production, so hopefully that'll get announced soon!